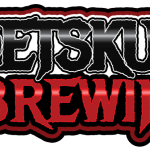 PetSkull Brewing Manitowoc WI Brewery and Tap Room » Welcome Back the Freaky 220! Welcome Back the Freaky 220! Taproom opens today at 3:00! With that, we welcome back our Freaky 220 Double IPA! All of our current beers can be found at http://www.petskullbrewing.com/#ourbeer. This Sunday, we will be open from 12 – 6 and welcome Jamus Unplugged – Jason Solis from 1 – 4! We are celebrating our first ever Sunday being open by tapping our brand new Blueberry Wheat! It looks like it’s going to be a beautiful day! Also, next week Wednesday (6/13) we will be serving beers at the first ever Night Market 920! We celebrate this brand new Downtown Manitowoc event by tapping our new Smasher Session IPA. This is an easy-drinking 4.8% IPA, with big hop flavors from Nelson, Columbus, and Citra hops. We will also be serving our Jake’s Malt Lemonade. Thanks to Brennan Seehafer and Grow It Forward for putting on such a wonderful event for our great city. Make sure to stop down next Wednesday!